MINNEAPOLIS -- The entire Minnesota football team says it is boycotting all football activities until it gets satisfactory answers from the university about the suspension of 10 players this week. 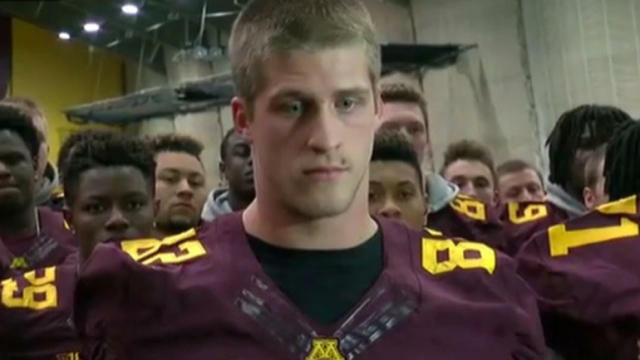 Wide receiver Drew Wolitarsky, with his team members standing behind him, made the announcement at the Gibson-Nagurski Football complex, CBS Minneapolis reports. Wolitarsky says the decision was made after a “disappointing meeting” with Athletic Director Mark Coyle.